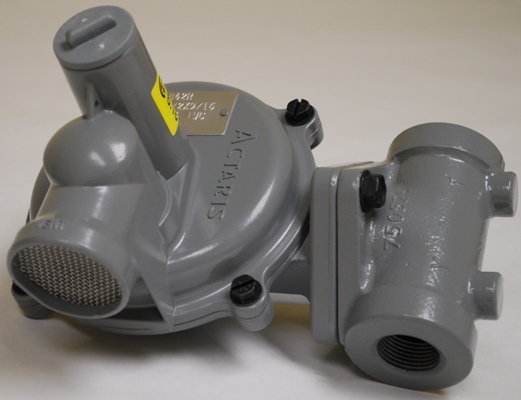 Second stage regulator for propane gas and naturel gas. Inlet and outlet 3/4 ". Maximum inlet pressure 10 psi. Outlet pressure from 6"WC to 16"WC.